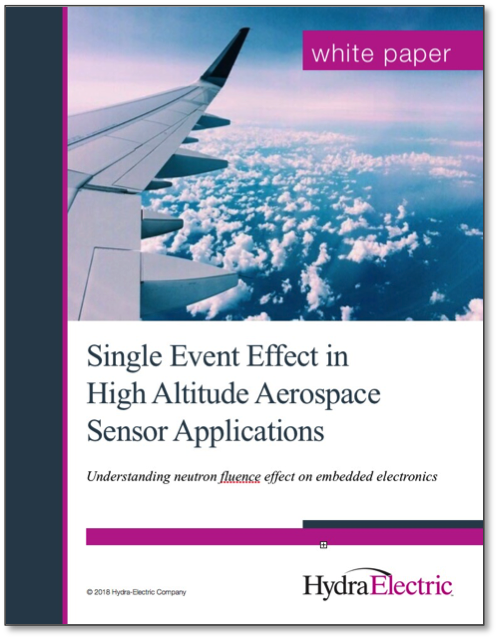 The effects of solar generated particle radiation on high altitude aerospace electronics have come into greater focus over the last decade. Of primary concern are high altitude (30,000-70,000 feet) neutrons where the protective atmospheric absorption seen closer to ground level is not present. These high-energy neutrons, having no electrical charge, are a consideration for kinetically-induced electrical upset. The name given to these effects is Single Event Effects or SEE. The single event occurs where the high-energy particle collides with the structure of an electronic silicon device. The collision affects the function of the circuit through transient, discrete, or permanent atomic level interaction. While these upsets may be rare, with millions of flight hours occurring each day, disruptions have been reported in the performance of electronic devices in aircraft incidents traced to the effects of this radiation. From maps of high altitude neutron fluence available from NASA, and the knowledge of normal aircraft flight hours, aerospace electronics can be designed with statistically known operating effects to minimize any SEE upset.